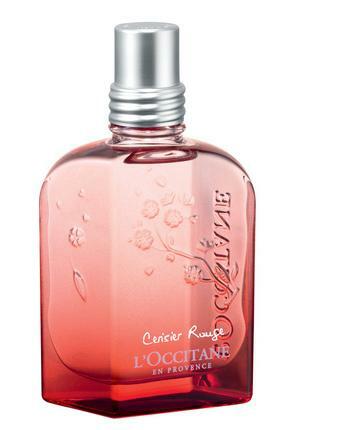 L'Occitane Cerisier Rouge Eau Intense - 50ml EDP - $65, 100ml Petal-Soft Cream - $28 - a fruity floral fragrance with top notes of lemon, orange and blackcurrant; heart notes of wild lily of the valley, red cherry and raspberry; and base notes of white musk, heliotrope and olive wood. I really, really love this one - and will be my new spring scent - it's fruity without being too sweet yet still has some depth and maturity to it thanks to the musk and olive wood . Available now at L'Occitane boutiques across Canada.